The next meeting of the Boston/New England Windows Phone User and Developer Groups will be on Wednesday, June 15th 2011 starting at 6:30pm. As usual, the meeting will be held at the Microsoft offices in Waltham, MA (201 Jones Road). Windows Phone 7.1 (codenamed “Mango”) offers Windows Phone 7 developers their first opportunities to develop applications that perform background processing. In this presentation, you will learn about the different types of background processing that can occur, the rules/limitations for each. You will also see detailed code examples demonstrating the best practices for creating applications with background processing capabilities. While summer may be a slower and mellower time for some, Microsoft’s recent announcement of new features for Windows Phone 7.1 (codenamed “Mango”) and the beta release of developer tools to support all of the goodness means there is a lot of learning to be done in the coming months. To help support the Boston-area community in getting up to speed with the latest in Windows Phone development, the Boston/New England Windows Phone User and Developer Groups are pleased to announce the “Summer of Mango” series of developer presentations. Each 90-minute presentation will focus on a major aspect of Windows Phone Mango development. Mark your calendars now and stay tuned for all the details! Due to a number of circumstances beyond control, we are having to cancel this month’s Boston/New England Windows Phone User and Developer Group meeting (scheduled for tomorrow, May 18th). We will, however, be “back in business” for our June meeting, scheduled for June 15th. Coming May 9th to the Microsoft New England Research and Development Center (NERD). Dani Diaz and Dave Isbitski will be presenting a free, full-day program focused on developing for Windows Phone 7. It’s a great way to get familiar with the current platform and learn about the upcoming features announced for “Mango” at MIX 11 just a couple of weeks ago. 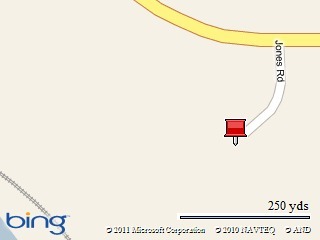 To the link to register for the Windows Phone Garage. No experience with Windows Phone 7 development? No problem. During this optional session at the start of the day we will cover the fundamentals of Windows Phone Silverlight and XNA Development. We'll explore the various core components and tools available and leave you with some resources to take you to the next level. This session will highlight some of the new developer features coming for Windows Phone Developers. We’ll also take a look at AppMakr, a dynamic new tool that enables you to generate a simple Windows Phone application from one or more online data feeds. To give you a jumpstart on application development, we’ll walk through in detail building an app, styling it, and adding advanced capabilities. We’ll also cover submitting it to the marketplace and monetizing your app. Bring your laptop fully loaded with Visual Studio 2010 and the latest version of the Windows Phone Tools. Get some help with an app you are working on or use the information from the Jumpstart to build an app around your favorite data feed. No ideas? No worries – we’ll have a few starter templates that you can build on. Bank of America announced some time ago during CES and again at Mobile World Congress that their application would be coming to the Windows Phone platform and it has finally arrived in the Marketplace already at version 3.0.92. The free app, is only available to Online Banking Customers (you can create an account here), you can check your account balances and Account activity, transfer money between accounts, pay bills (through optional Bill Pay), and locate ATMs and banking centers via GPS. Bank of America ensures your privacy - "Feel secure with our industry-leading mobile security and our Online Banking Security Guarantee"
The app uses the same double authentication features found with the online application and adds your phone to the list of trusted devices by answering a security question. (Paris, please don't use your dog's name Tinkerbell here). For another level of security don't check the box to save your Online Id when logging in. The app an be found in Marketplace here.